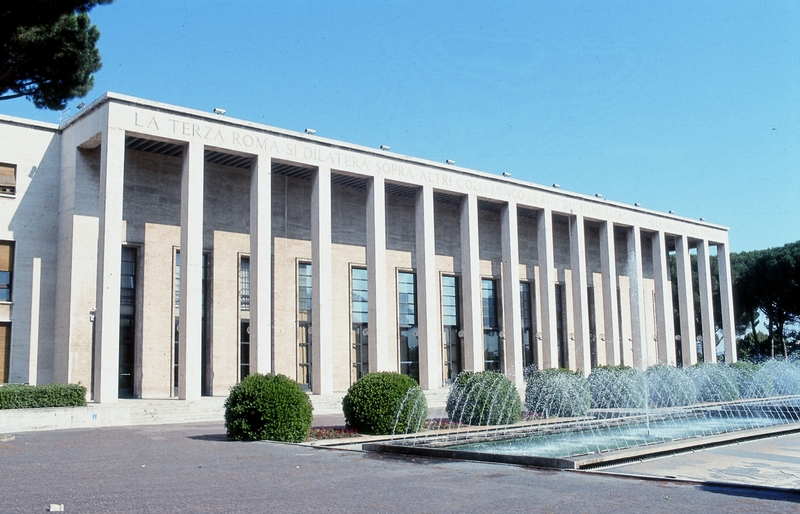 The Salone delle Fontane can be easily reached from the old town by driving in Via Cristoforo Colombo. – Open from h 7.00 a.m. to h 12.00 p.m.: EUR GARAGE GARDEN – Viale dell’Arte 9/C, 00144 Rome, to be paid. – Open from h 5.15 a.m. to 12.15 p.m.: EUR MAGLIANA – Via di Val Fiorita 96, 00144 Rome, to be paid.